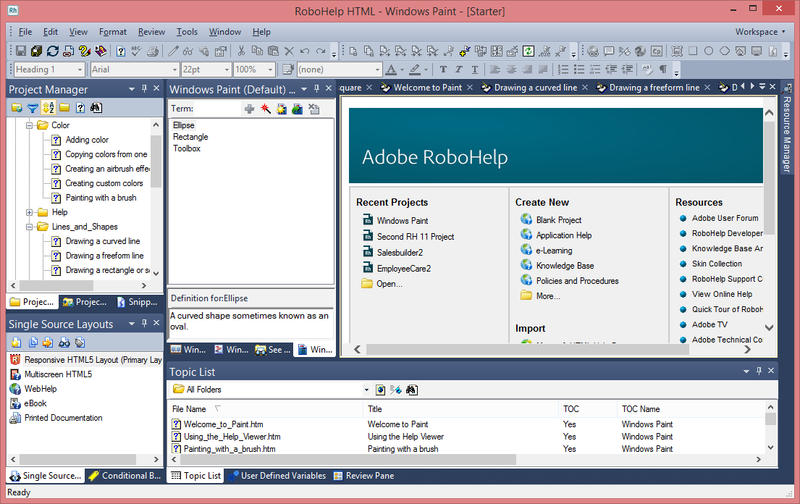 Detailed review by Matthew Ellison of UA Europe of Adobe RoboHelp 11. The article includes an analysis of the new Responsive HTML5 output type for multiple screen sizes. 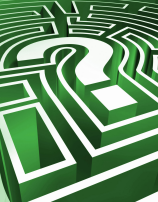 Each new major release of RoboHelp tends to have a headline feature that is focused on a key technical communication issue of the day. For example, RoboHelp 8 addressed the issue of single-sourcing high-quality print documentation and Help by introducing a new workflow based on linking FrameMaker books to RoboHelp projects - and RoboHelp 10 tackled the mobile user assistance challenge by adding a new Multiscreen HTML5 output format. Well, Adobe clearly takes the issue of mobile user assistance (UA) seriously because they have chosen for the second year in a row to make mobile user assistance the primary focus of their development efforts. As a result, the headline feature of RoboHelp 11 is another new output type (Responsive HTML5) that provides an alternative way of publishing to multiple screens and devices. Aside from this, the most significant change in RoboHelp 11 is an enhancement to the Resource Manager that enables you to share topics across multiple projects. There is also a range of other more minor updates and enhancements. Easily the most interesting and significant addition to RoboHelp 11 is the new Responsive HTML5 output that addresses the challenge of making your content and navigation work together effectively across a range of different device types and screen sizes. The Multiscreen HTML5 output type introduced in RoboHelp 10 seemed to be a good solution when it was introduced but unfortunately, I suspect, turned out to be too complex for many RoboHelp users to implement. It was certainly extremely challenging to break away from the standard layouts provided by Adobe since the Screen Layout editor was almost unusable. 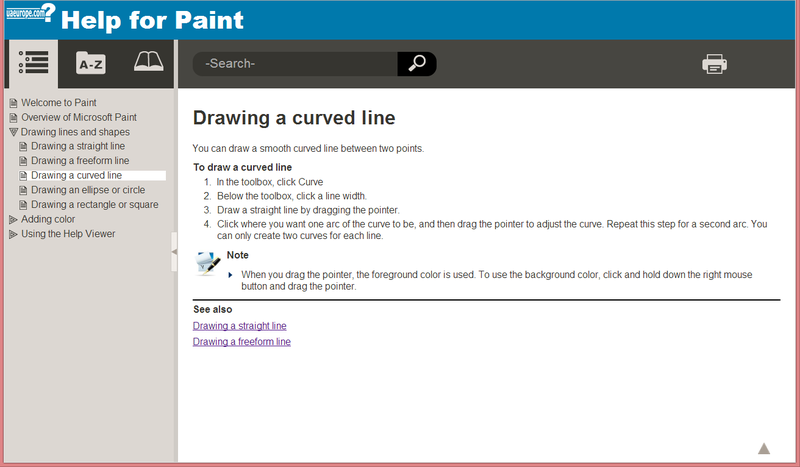 Happily, the new Responsive HTML5 output is much easier to configure and work with. In a nutshell, the difference between Multiscreen HTML5 (introduced in version 10 and still available in version 11) and RoboHelp 11's new Responsive HTML5 output is that the former uses an adaptive approach and the latter a responsive approach to the challenge of different screen sizes. 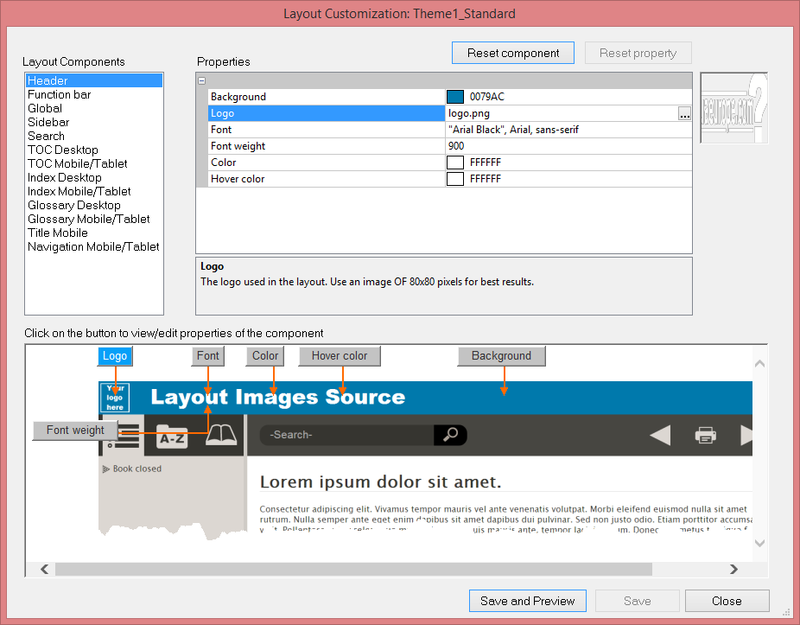 When you generate Multiscreen HTML5 output, you are actually producing a complete and separate set of output files (topics, images, style sheet, and so on) for each of the device types (or Screen Profiles) that you have specified. The advantage of this approach is that you have complete control over the layout of the content and navigation for each of the device types, and can even include or exclude specific pieces of content for each type. The Responsive HTML5 output, on the other hand, consists of a single set of files whose presentation adapts automatically (through advanced use of CSS and scripting) according to the dimensions of the display window. This approach has significant advantages in terms of Search Engine Optimisation (SEO), but it does have the limitation that it is not possible to include or exclude content for specific screen. 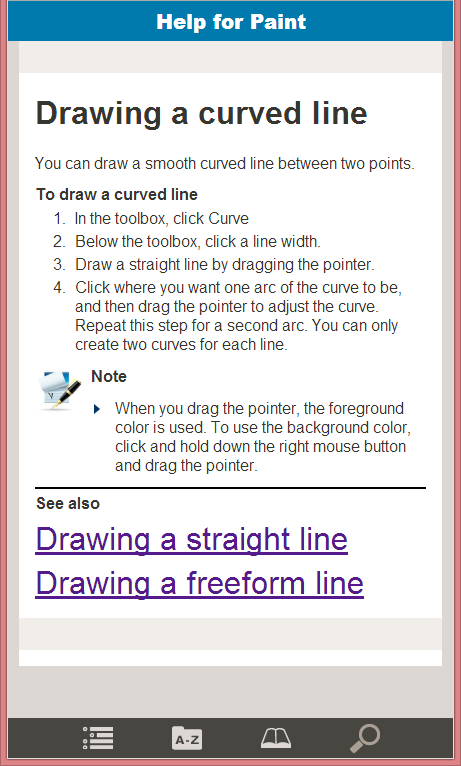 As an example of how the Responsive HTML5 layout changes for different screen sizes, the following two screenshots compare how the same Help topic might look on a desktop computer screen and on a mobile phone. Setting up your Responsive HTML5 output is trivially easy if you are happy to go with one of the two off-the-peg layouts provided in RoboHelp's Gallery. If you would like to give your layout a custom look-and-feel by changing colours and selecting new images for buttons and logos, even this is a relatively quick and easy task due to the excellent user interface (UI) that has been provided for editing Responsive Layouts (see the screenshot below). This includes a static graphical preview of the layout with interactive callout buttons that take you directly to the corresponding item in the Properties table above. As you edit each property, a very useful short description of the property, including recommended dimensions for icon images, is displayed beneath. For anyone who has been through the pain and frustration of trying to customise one of the Multiscreen HTML5 Screen Layouts, this will be a particularly welcome feature. It's only if you needed (for some reason) to create from scratch your own Responsive Layout with a customised structure, that things start to get difficult. In fact, this is an understatement: they get very challenging indeed, and I would expect only web developers with a good knowledge of XML schemas to be in a position to do this. So, I anticipate that the overwhelming majority of RoboHelp authors will use one of the two layouts provided in the Gallery. It is possible that Adobe will make further layouts available on the Web in the future. Another advantage of using the Responsive HTML5 output is that you are not required to set up Screen Profiles (as you have to do for the Multiscreen HTML5 output). However, you may still want to do this as you can use Screen Profiles to set up media-specific style properties in your topic stylesheet. For example, I used this technique to increase the size of hyperlinks to 200% for the iPhone and Android Phone Screen Profiles (see the phone layout above). 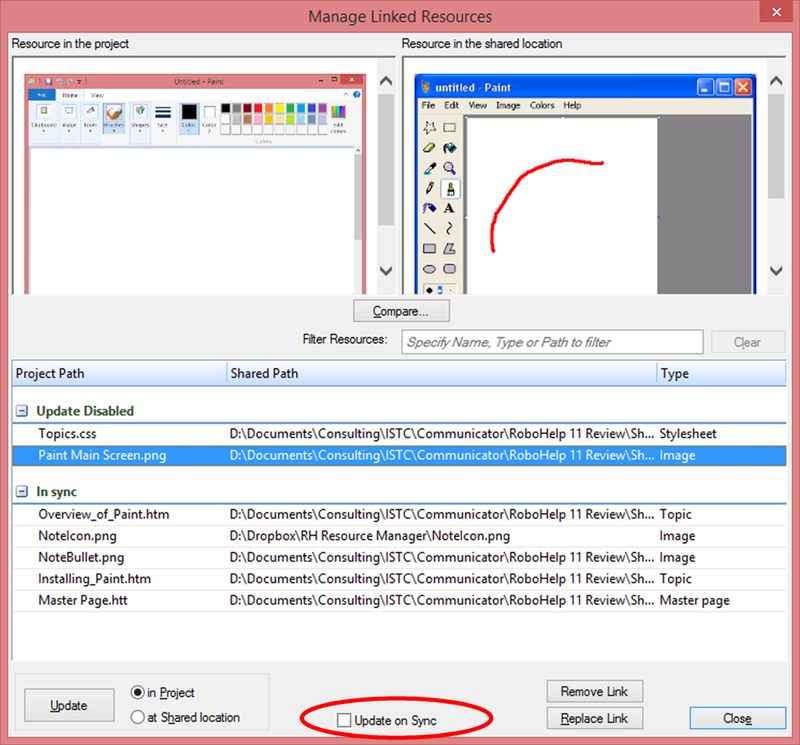 The Resource Manager has gradually evolved since its first introduction in version 8 of RoboHelp when it provided no more than a way of copying images, snippets and style sheets from an external location into any project. RoboHelp 9 then added the ability to synchronise files between projects and the external location, and now in RoboHelp 11 we have the ability to synchronise topic files (in addition to the images, snippets, and style sheets that we could synchronise before). What's interesting is how RoboHelp 11 handles the various dependent files that a topic may have: for example, linked images, snippets, style sheet, and master page. When you copy a topic from the Resource Manager into a project, these dependent files (with the exception of snippets) are automatically copied and synchronised to the project as well. This means that if any of these files are subsequently changed, either in the project or in the Resource Manager, the changes can be synchronised to the other location. But there is a welcome degree of flexibility available for this process. Let's imagine that you have synchronised the same topic from the Resource Manager into two or more different RoboHelp projects (which, of course, could be a great way of ensuring consistency between multiple projects) and that you would like the formatting of the topic to be different in each of these projects. You might even want to customise within each project the images and snippets used in the topic. Well, you can do this by deselecting the new Update on Sync option for each of these items within the Manage Linked Resources dialog box (see screenshot below)  this prevents the update of these items during the Synchronisation process and enables you to create custom versions for each project. RoboHelp 11 makes it easy to add your Dropbox folder (or any other folder that you use for cloud-based synchronisation) as a Shared Location in the Resource. As a result, any files shared between the Resource Manager and local RoboHelp projects may also be shared via the cloud with developers at other locations across the globe. This is actually something that you could easily have done with RoboHelp 10 - the only advantage that RoboHelp 11 brings is that, as you add the Shared Location, you can specify the service that you are using (Dropbox, Google Drive, or SkyDrive) and RoboHelp will automatically select the local directory on your computer for that service. In RoboHelp 10, you needed to browse to it. Adobe has fixed a number of bugs relating to Printed Documentation, including RoboHelp's annoying habit of inserting unwanted page breaks at the beginning and end of the index. But there are two more significant enhancements that I would like to highlight. The first of these is a long overdue ability to create custom headers and footers. These can be different for odd, even, and first pages, and you can even create different headers and footers for the front- and back-matter sections of your document, such as the title page, table of contents, and index. You create a custom header and footer by adding them to a Master Page (a feature of RoboHelp previously used for adding headers and footers only to Help topics). The Master Page editor now contains additional button icons for adding two new fields: page number and chapter name. Having set up the Master Pages for your required headers and footers, you then apply them using a new option within the Printed Documentation single source layout. The second enhancement worthy of note is that Flash movies and animations that you have inserted into topics are now embedded as playable objects in the generated Word document and PDF file. This offers the possibility of publishing more engaging and dynamic manuals in either Word or PDF formats (as long as the end-user is reading the document on screen, of course). As you would expect, RoboHelp 11 is compatible with Windows 7, 8, and 8.1, and you can import and export content using Microsoft Office 2010 or Microsoft Office 2013. RoboHelp 11 also enables you to easily incorporate videos created using Captivate 7, and it automatically brings in all the required video files for maximum compatibility across platforms. There are a number of additional minor enhancements and fixes in RoboHelp 11. For me, the most welcome of these is the fact that when you select the style sheet for a topic, the list of available .css files no longer includes all the special style sheets used for formatting the Screen Layouts. I expect this relatively small enhancement to significantly reduce confusion amongst RoboHelp users. Other minor enhancements include the fact that you can re-name conditional build tags without having to go back and edit the tags that you have already inserted, and a tweak to the Browse Sequence Editor that makes it more obvious how to create a single browse sequence containing all topics in the TOC. Some aspects of RoboHelp are showing their age a little. These include the user interface, which is fundamentally unchanged in RoboHelp 11 despite sporting a darker blue background to the title bar and tab of each Pod. As an example of a UI item overdue for a refresh, during the process of generating WebHelp output you watch a rather clunky animation that is reminiscent of how Windows XP demonstrated copying a file from one location to another. To further increase the sense of nostalgia, the icons used within the animation are those that represented RoboHelp and WebHelp back in the early part of last decade during the pre-Adobe era. Despite the enhancements to the printed documentation described earlier, there is still plenty of room for improvement in this aspect of RoboHelp. For example, the relatively poor level of pagination control and the inability to have page numbers automatically inserted into hyperlinks are disappointments. I am surprised that the printed documentation is still generated via a Word document, even if the required output is a PDF file. Given the fact that the PDF format is owned by Adobe, I would have expected the PDF output to have been generated directly from the RoboHelp source files, and for this to enable higher quality output and greater control over the format and layout. Finally, the workflow and interface for linking Word and FrameMaker documents to a RoboHelp project is also unchanged within RoboHelp 11, which frustrates me because I suspect that a number of users are put off using this potentially useful feature by the remarkably unintuitive UI. The Responsive HTML5 output type is overwhelmingly the most significant new feature in RoboHelp 11. Even if you are not planning to publish to mobile devices, its responsive nature has advantages for desktop computer users because the layout changes automatically as users resize their browser window. Also, the fact that its topics contain no frames or iframes within the HTML code makes the Responsive HTML5 output extremely SEO-friendly, which is an increasingly important factor these days. After more than ten years of WebHelp being the format of choice for cross-platform web-based delivery, I expect it now to be finally dislodged from its throne by this thoroughly modern new format.